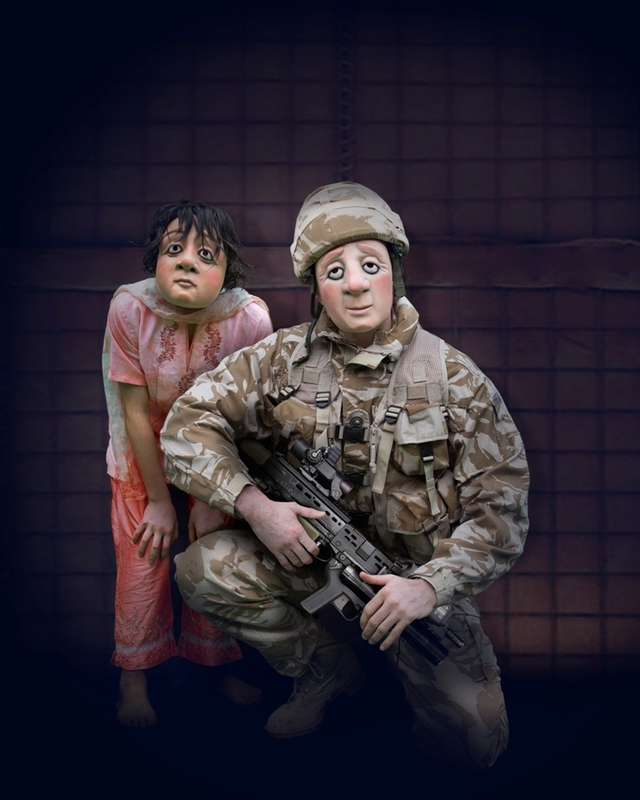 Award-winning Vamos Theatre, the UK’s leading full mask theatre company, is bringing its new production, A Brave Face, to Queen’s Hall Arts Centre, Hexham. 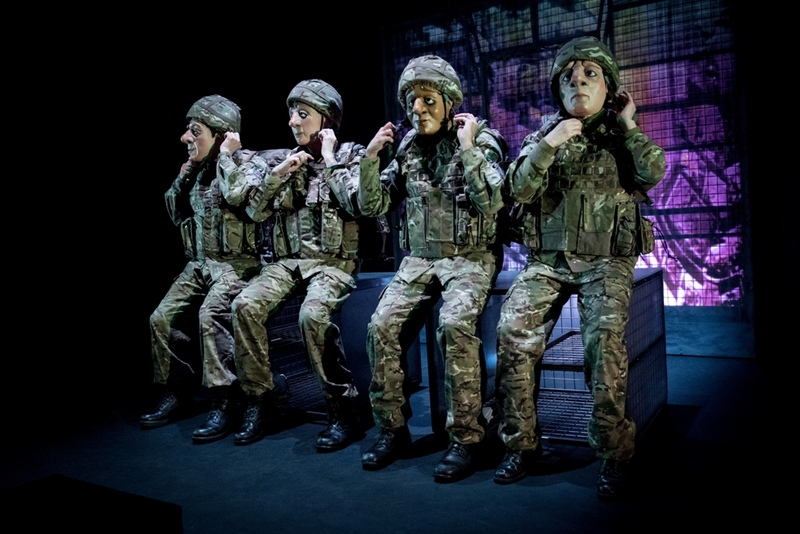 For over two years, award-winning Vamos Theatre has collaborated with Veterans, serving personnel, military families and health professionals to create A Brave Face. The result is an honest and hugely compelling piece of theatre inspired by the hidden stories and personal journeys of those affected by and connected with Post Traumatic Stress. Sometimes raw, often funny, always compassionate, A Brave Face explores life in the military, the impact PTS can have on even the closest of families, and the slow but steady search for hope. Vamos Theatre is praised by press and public alike for its engaging storytelling, emotional insight and accessibility. The company continues to involve and engage audiences across borders and boundaries, taking on challenging themes with humour and humanity. The production is suitable for audiences aged 12 years up and accessible to hearing and deaf audiences alike. 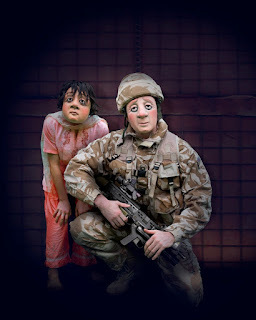 A Brave Face will be at the Queen’s Hall Arts Centre, Hexham on Saturday 13 April at 7.30pm. Tickets are £10.00, and £7.50 for students, and available from the Box Office 01434 652477 or online at www.queenshall.co.uk/events/brave-face.